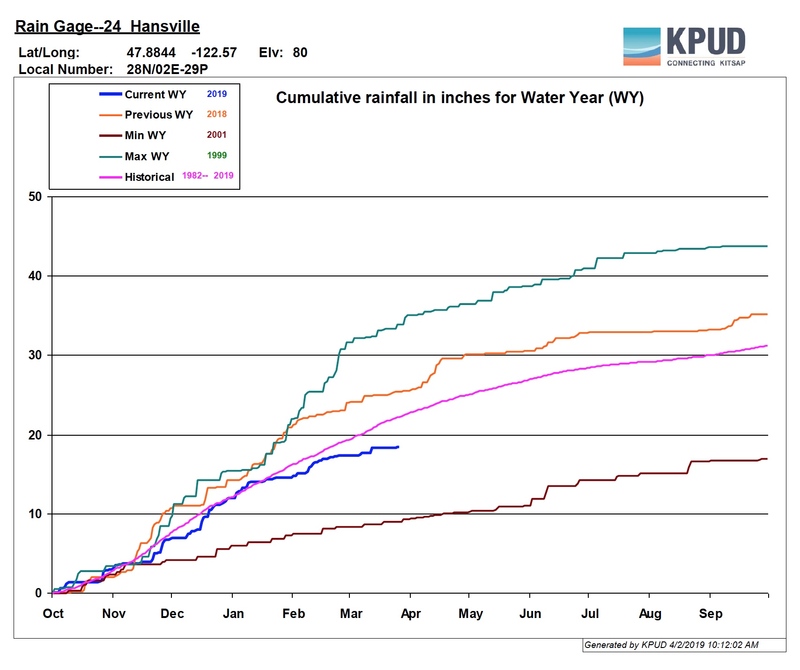 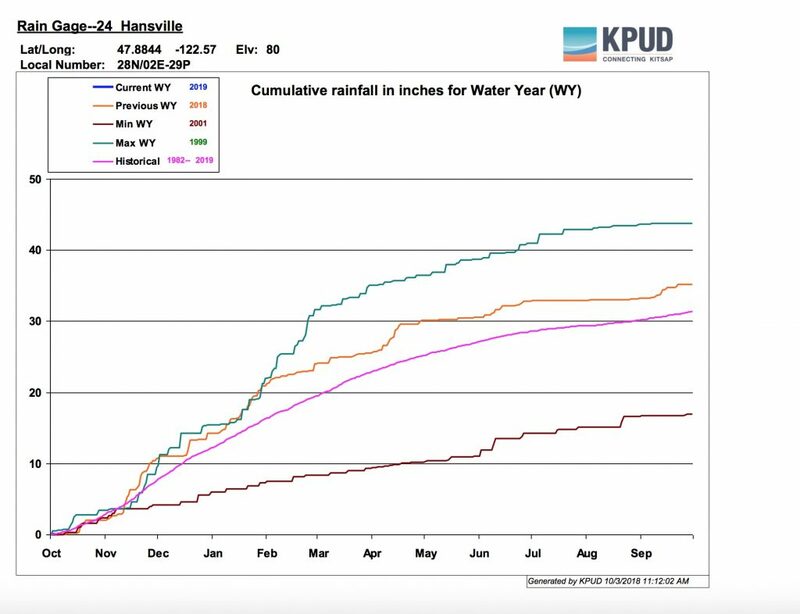 The reading at Greg’s weather station, 1.98 inches for the month of June, was somewhat lower than the 2.26 inches recorded at Kitsap PUD’s weather station in Hansville. Cool, often cloudy conditions have helped obscure the fact that very little rain has fallen on the Kitsap Peninsula over the past two months. 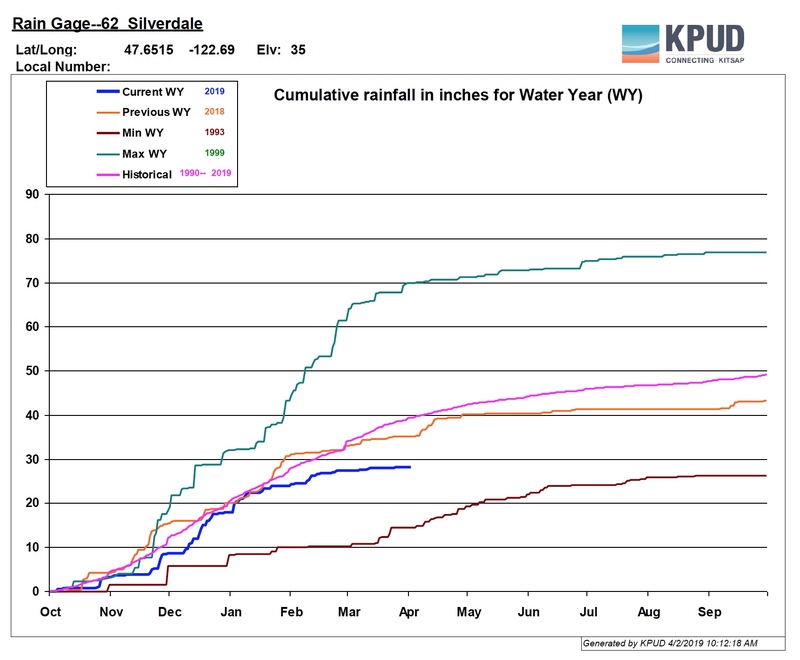 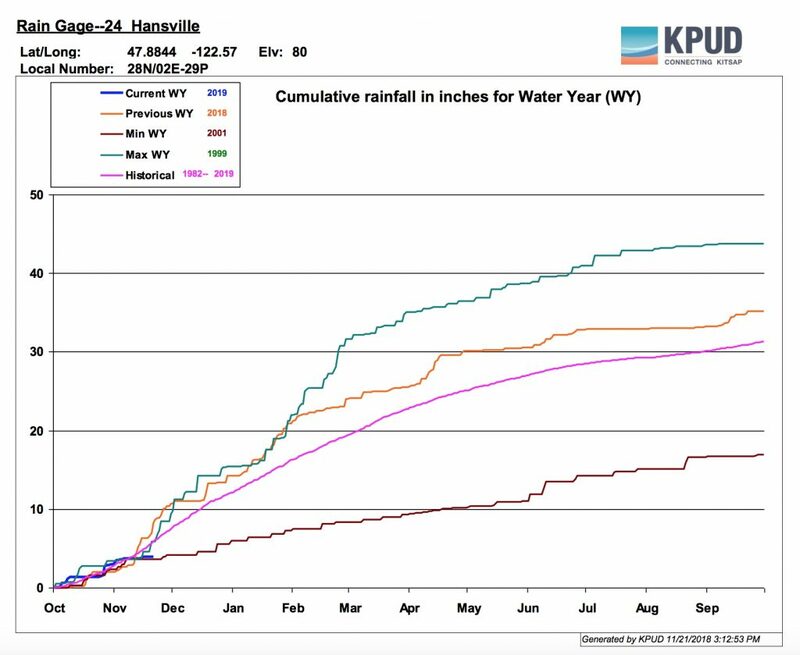 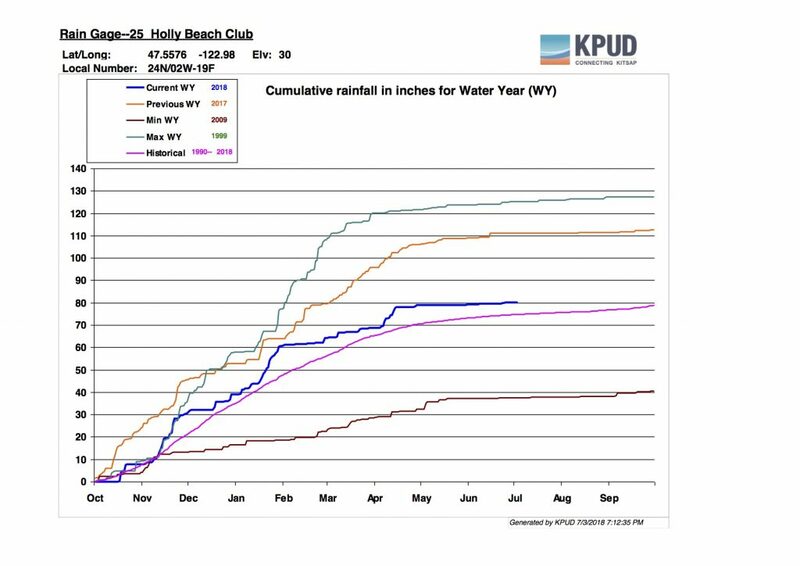 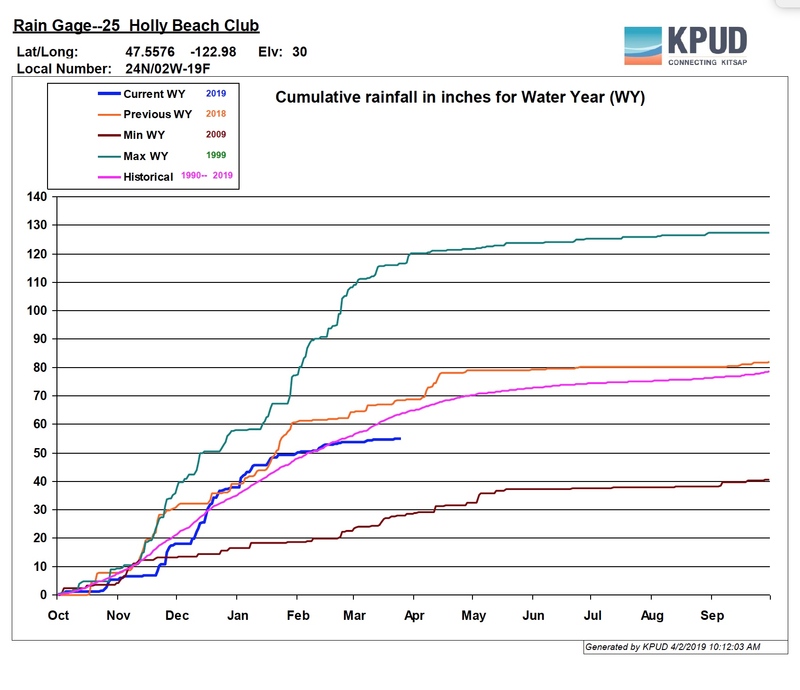 Now that we are in the fourth quarter of the water year, we can see that rainfall levels for this year will be close to average for most areas on the peninsula. 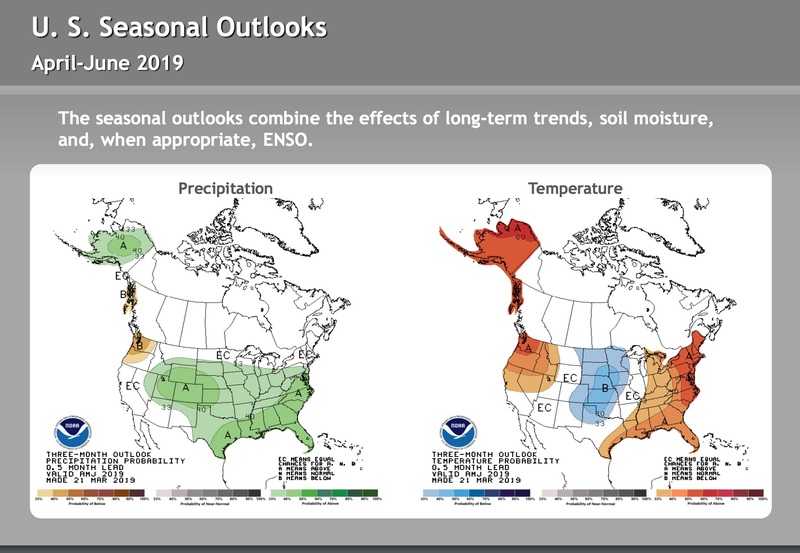 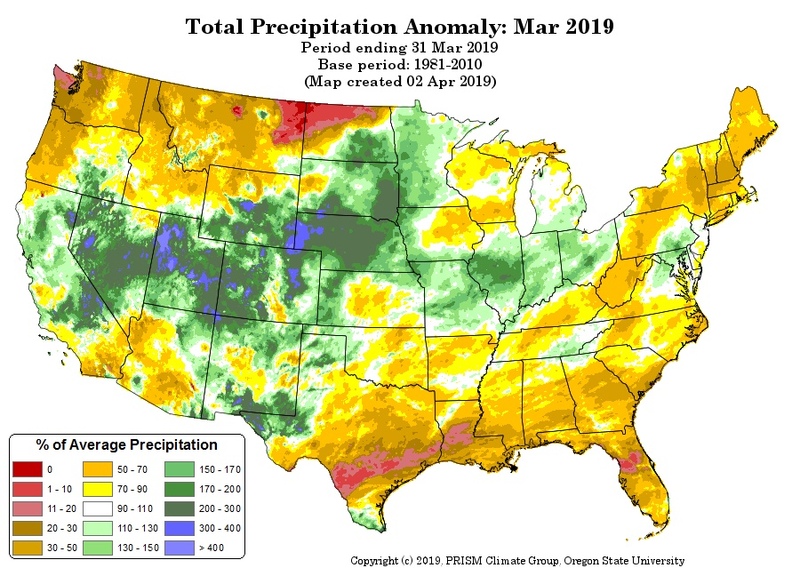 What might not be recognized, however, is that April was well above average, while May and June were well below average.